The first step in creating a stacking plan is creating a property. From within properties you will see a red button that will enable you to create a new property. Click this button and you will be redirected to a page where you can enter basic information about your property, as well as upload a picture of your property. 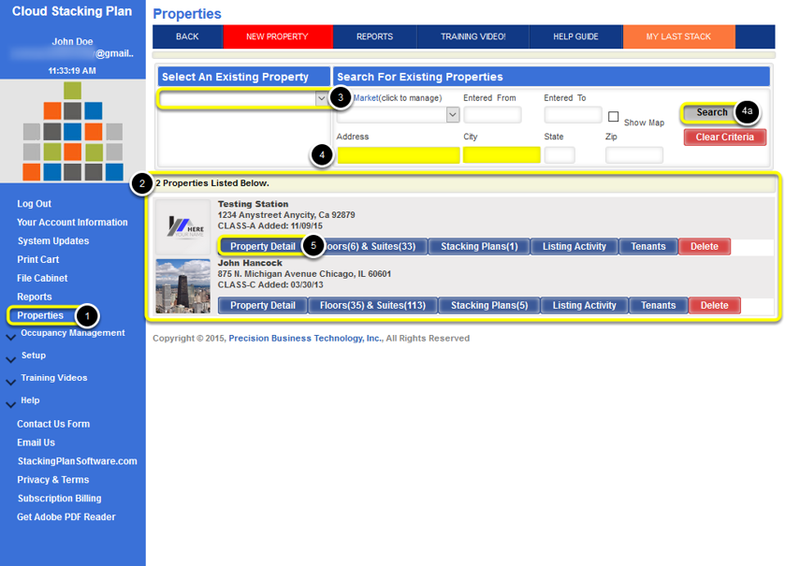 For existing properties, you will see a list of your properties with associated information and functions. 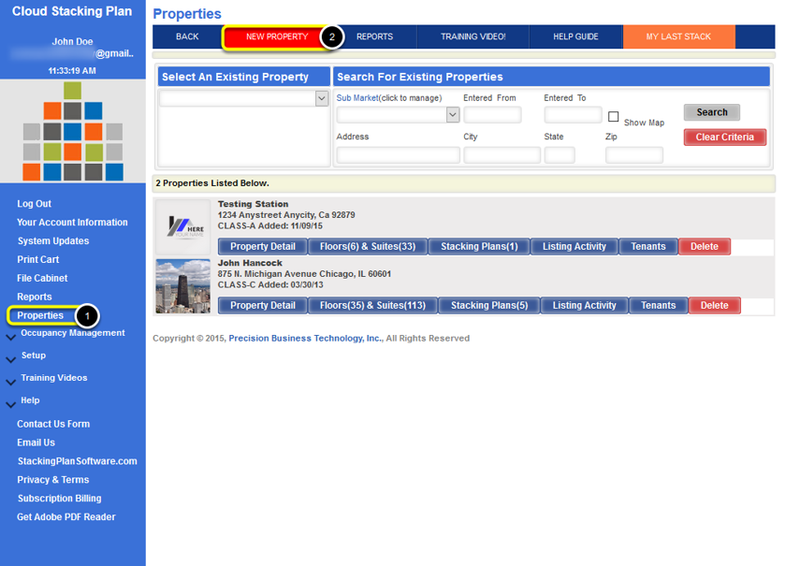 You will also be able to Filter your list by Selecting an Existing Property from the Drop Down List provided or you can Search for an Existing Property by entering in specific Search Criteria.